The Rolling Stone writer who profiled Donald Trump is refuting his claim that he was insulting Carly Fiorina's "persona," not her physical traits, by saying "Look at that face! Would anyone vote for that?" "He was not talking about her persona," Paul Solotaroff, a contributing editor to the magazine, told CNN's Anderson Cooper. He said Trump was watching a newscast with Solotaroff and six or seven Trump staffers. The candidate had just returned from a successful campaign rally. "He was feeling loose and playing to the room," Solotaroff said. 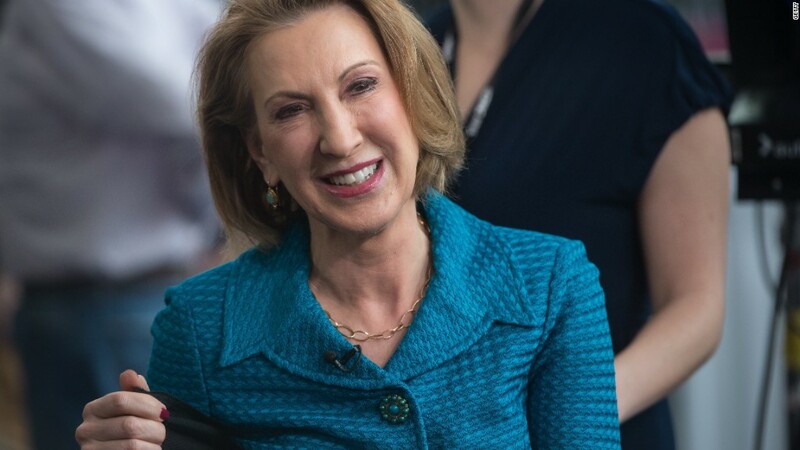 According to Solotaroff's article, Trump saw Fiorina on the TV screen and said "Look at that face! Would anyone vote for that? Can you imagine that, the face of our next president ... I mean, she's a woman, and I'm not s'posedta say bad things, but really, folks, come on. Are we serious?" The article stirred controversy when it came out on Wednesday. But Trump told CNN's Chris Cuomo on Thursday morning that he was referring to Fiorina's persona and her "terrible past" as a business leader. Solotaroff isn't buying that. "I went to the Yale School of Drama. And I thought I knew what persona meant," he said Thursday night on CNN. When Trump made the Fiorina comments, none of his staffers winced or cautioned him, according to the writer. "Nobody shuts up Donald," he said. Speaking with Cuomo, Trump said Solotaroff's story had "moments of beauty and greatness," and added that he loved the pictures, including a cover photo that he posed for. But the candidate also slammed the magazine, particularly publisher Jann Wenner, for adding "disgusting" and "garish stuff" to the final draft. Wenner is known as a staunch supporter of Democrats and progressive causes. It turns out, according to Solotaroff, that Wenner personally edited the Trump cover story. Solotaroff denied Trump's claim that he called up Trump and said "I'm so upset. I wrote this great story and Jann Wenner screwed it up!" "I did call him eight, ten days ago, at Jann's insistence, to get some further sort of lifestyle detail and ask a couple of questions," Solotaroff said. "What happened was I told Donald that Jann took him seriously enough to edit the story himself, which he hasn't done in many years, and that he was being a very tough, diligent editor of this piece. And then I asked him the questions that Jann had asked me to ask him. And, you know, some of them involved the layout of the plane, you know, this kind of 'rich guy stuff.' And Donald didn't like that. But, you know, those were my marching orders. The rest is just Donald being Donald." A Rolling Stone spokeswoman declined further comment, and Wenner did not respond to an email message. Solotaroff said that in his time with Trump, he found "a guy with two extraordinary senses." "One is something I call clairvoyance, the ability to read a market way before it is formed and get there first. The second is 'clairaudience,' hear what is in people's hearts and minds." He described 'clairaudience' this way: "There's Donald, on the 26th floor of his massive office in the Trump Tower, and somehow he read and saw and heard into the hearts of disaffected underemployed white people in Coatsville, Pennsylvania, in, you know, West Virginia, in Ohio. And not only was he able to hear that seething rage, he was able to read it back to them, word for word, in ways that no Republican has ever done before." 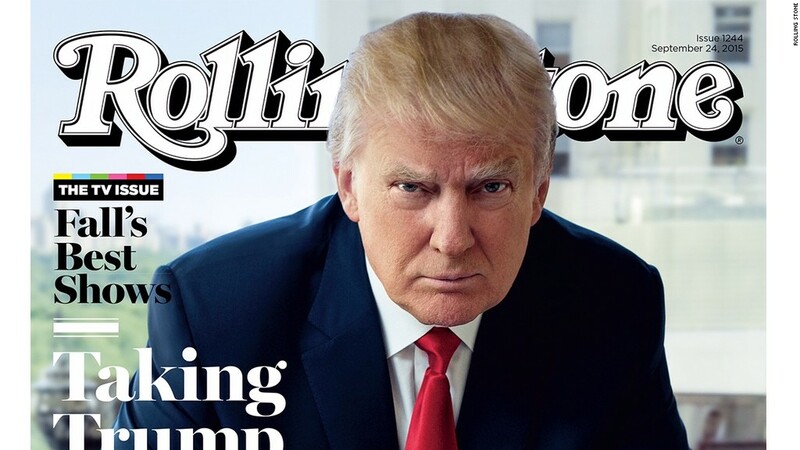 The Trump edition of Rolling Stone hits newsstands Friday.